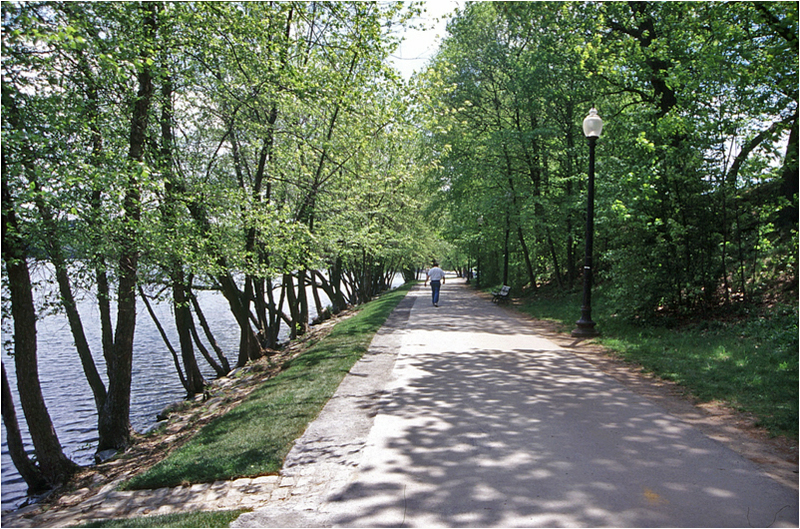 The park system known as the Emerald Necklace stretches from the Boston Common to Franklin Park. 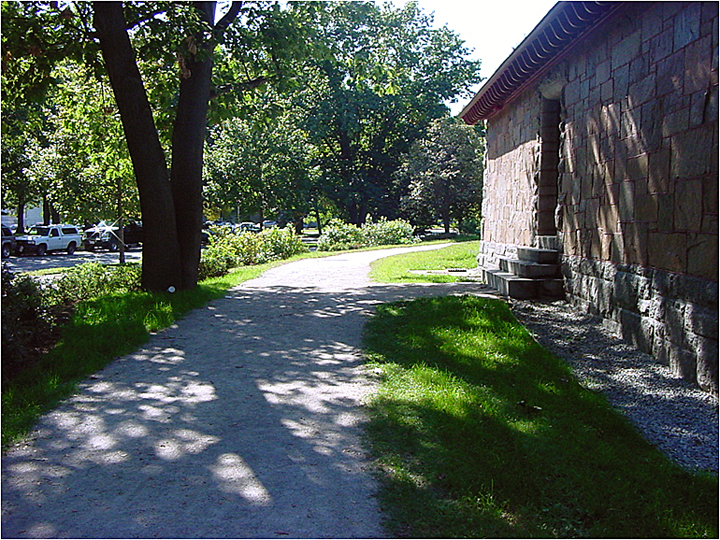 Designed between 1878 and 1895 by Frederick Law Olmsted, Sr., with Charles Eliot, John Charles Olmsted and Frederick Law Olmsted, Jr., it is perhaps the first urban greenway in the world. Olmsted himself felt that the “Boston work” was the most important of his career. 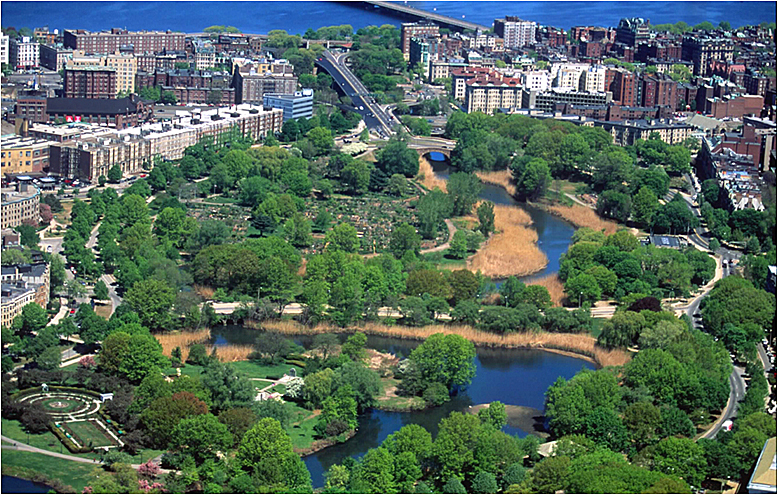 The core of the 1,100-acre system consists of five parks: the Back Bay Fens, the Muddy River Improvement (later named Olmsted Park and the Riverway), Jamaica Pond, the Arnold Arboretum and West Roxbury Park (later named Franklin Park). 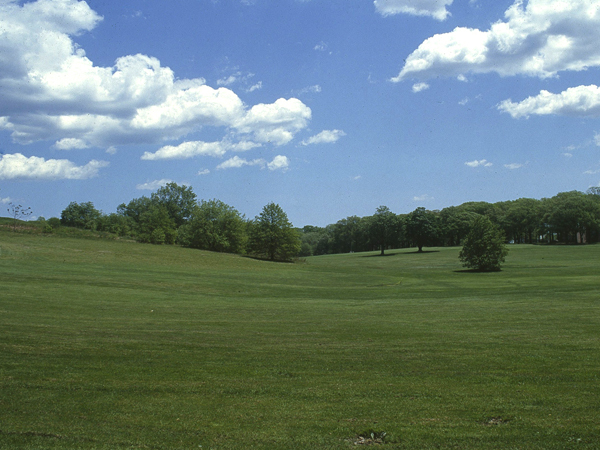 The parks were linked by a network of parkways resulting in a comprehensive system of water, meadows and woodland measuring five miles in length. 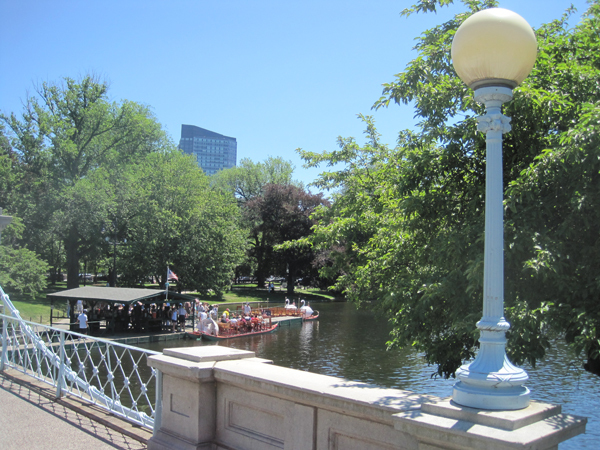 The Necklace was one of the largest projects ever undertaken by the City of Boston or the Town of Brookline. 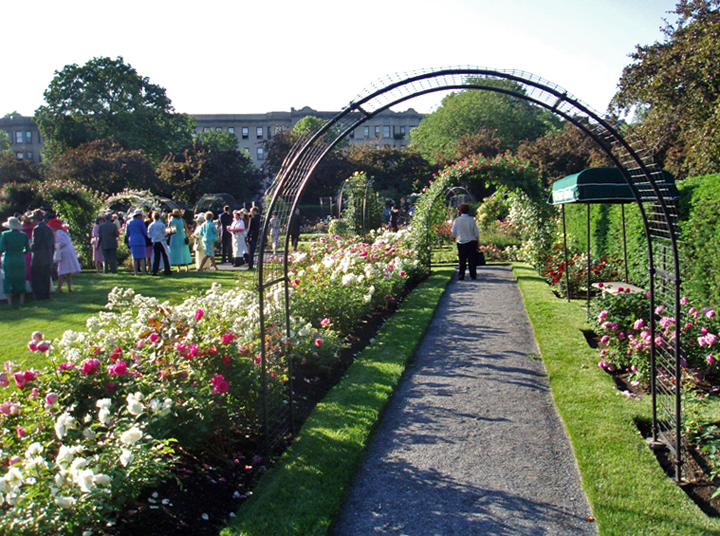 The Olmsted firm consulted on the parks until the 1920s, including collaborations between the Olmsted Brothers and Arthur Shurcliff on the Back Bay Fens. 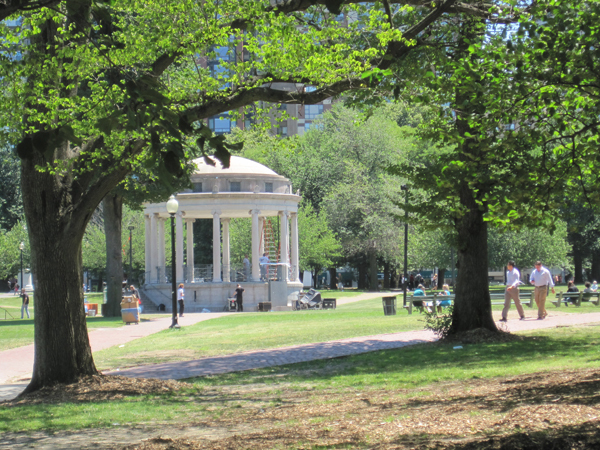 The Necklace was listed in the National Register of Historic Places as the Olmsted Park System in 1971, while the Fens and Franklin Park are Boston Landmarks. 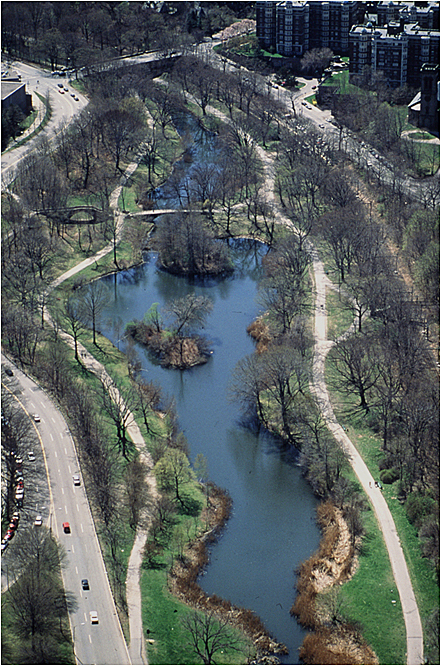 In 1996 the Emerald Necklace Conservancy was created to protect, restore, maintain and promote the park system.